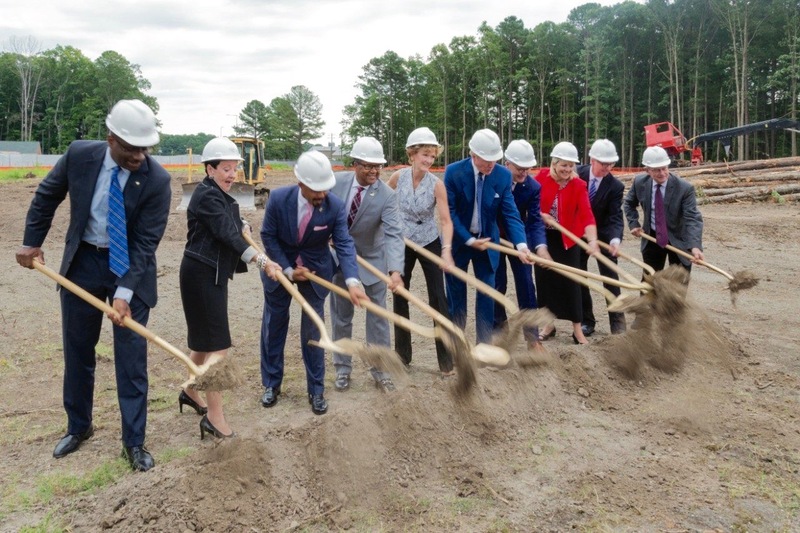 Jeff Johnson, executive director of the newly constructed Tech Center Research Park, has been fundamental to the surge of innovation in Coastal Virginia. He, along with Virginia Tech affiliates and the locally based John Lawson of W.M. 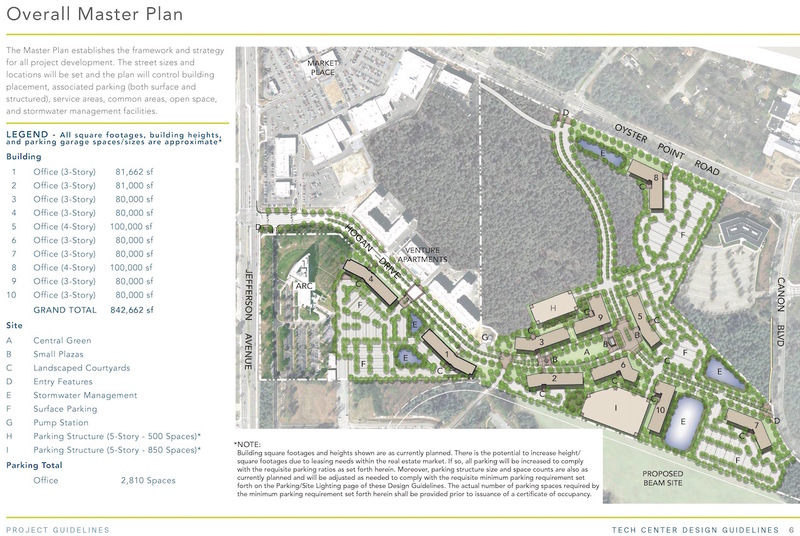 Jordan Company spearheaded the design of a 100-acre research park and innovation district in the heart of Newport News. The sprawling technology campus, anchored by the award-winning Jefferson Lab, is divided into three distinct sectors—a marketplace, luxury residence and marked lots for 10 multi-company buildings—all of which strive to achieve the center’s mission to commercialize discovery and grow businesses that matter. The idea of introducing a research park to the region first began percolating after a visit to Virginia Tech’s Corporate Research Park. The cutting-edge district is nestled in a plateau between the Alleghany and Blue Ridge Mountains and is home to roughly 180 tech companies. Johnson began wondering why Southwest Virginia harnessed such great potential for innovation and strategized on how he could replicate that spirit of change and collaboration on the Peninsula. 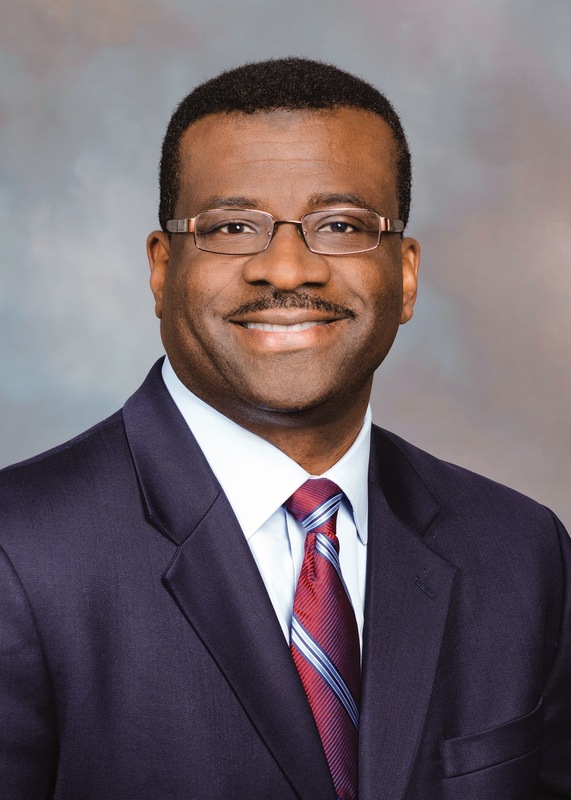 “A research park and an innovation district can function as a place to catalyze the entrepreneurial and innovation ecosystem here,” says Johnson. 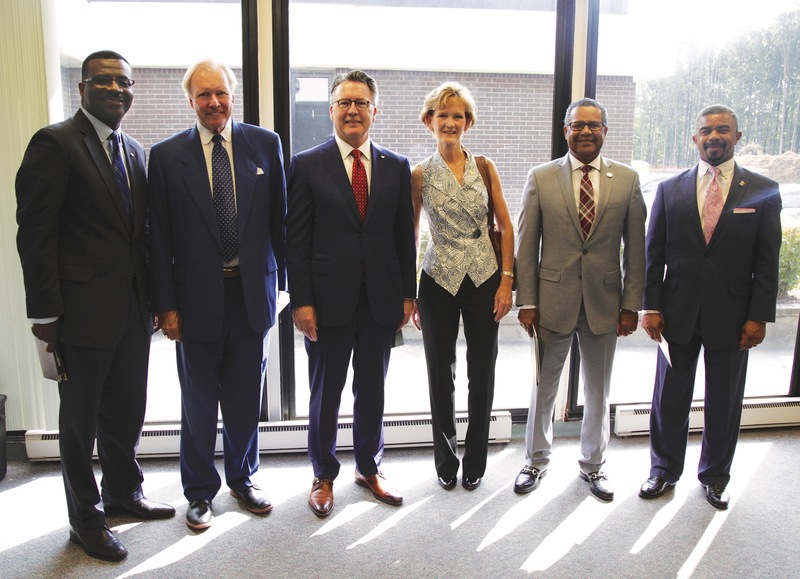 Offering insight to Johnson’s vision were John Dooley, CEO of the Virginia Tech Foundation, and Joe Meredith, president of the Virginia Tech Corporate Research Center (VTCRC). The two assured Johnson that every park is different, but all pave the way for teamwork, advancement and economic prosperity. Johnson, however, took the concept of a research park one step further. He not only wanted to cultivate a space for innovators and creators to master their trade but also foster an environment that enables their inventions to leave the lab and enter the marketplace. With both Jefferson Lab and NASA Langley Research Center now in the center’s backyard, the transition from concept to creation is seamless. “Now we have a place for science to grow outside the gate,” says Johnson. Since introducing the concept of Tech Center in 2014, its growth has been exponential. 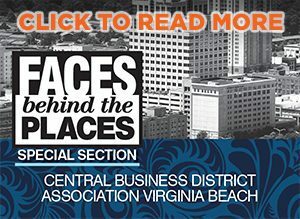 Its walkability, bikeability and highly caffeinated vibe has attracted the interest of many Newport News locals and transplants. The park’s shopping district, equipped with high-end eateries, retailers and lifestyle shops, spans 285,000 square feet and is over 98 percent leased. Its luxury accompaniment, Venture Apartments, has reached capacity for its 288 modern units and boasts a lengthy waiting list. The primary interest of course lies in the research park itself. The building experts of W.M. Jordan broke ground on the center’s first commercial building in 2018. 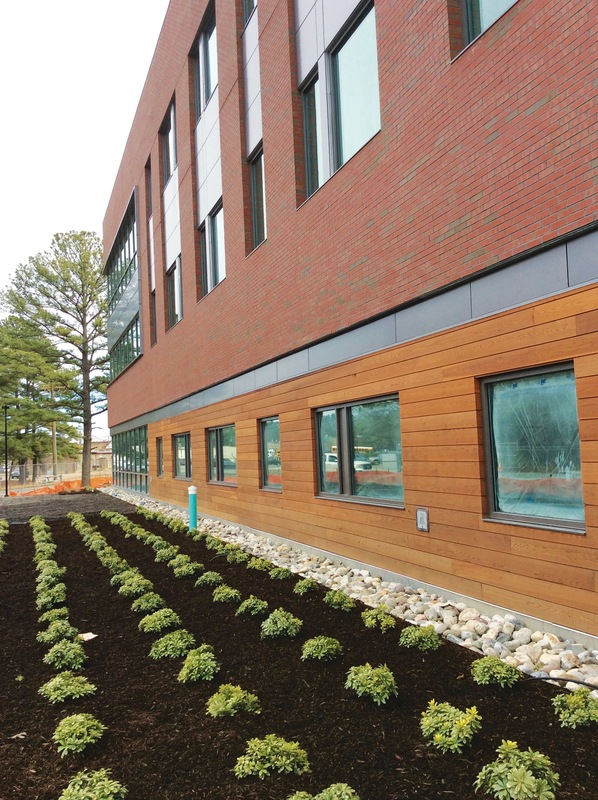 Johnson states that the dedication to quality is visible in all aspects of the building from its architecture to its top-of-the-line materials. 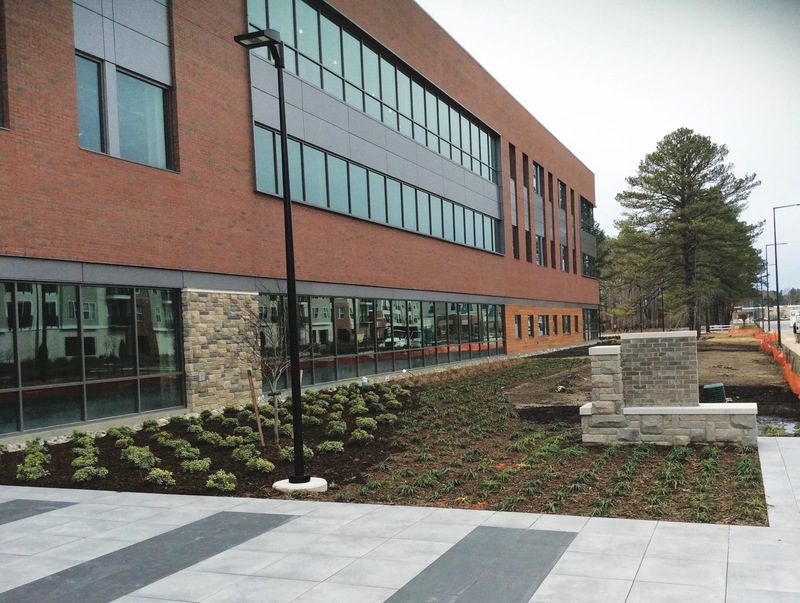 Throughout the center’s three sectors, certain facets pay homage to Virginia Tech such as “faux-kie stone” siding, a spinoff on the university’s trademarked Hokie Stone, as well as a makeshift Drillfield in the center of the research park. The W.M. Jordan team is currently in the midst of tenant build-outs and preparing for the influx of several technology-driven agencies including anchor company ivWatch. The life-saving device monitors patients’ IV sites to prevent fluid leaks, infiltration and drug-delivery failures and the like. Geniuses behind the healthcare invention will showcase its creation process in a glass-walled section of the building. Johnson is particularly excited about the company’s arrival to the region as it mirrors the center’s objective to grow companies that matter. “The story of ivWatch is the story we’re telling for all of Tech Center,” says Johnson. The research park is more than just a collection of buildings, however. It is a space for ideas to land and grow and a facilitator for intellectual collision. “What’s really important is access to technology, access to capital and access to talent,” declares Johnson. Tech Center offers an assortment of co-working spaces from one-man desks and private offices to full floors and entire buildings, thus allowing people and businesses to graduate from smaller spaces as their ideas and inventions develop. The dense population of forward thinkers also encourages networking and collaboration across a number of technology fields. “The power of collision to create new products and new services is the core of the strategy here,” Johnson states.